Here are some things to consider when looking for new bathroom windows. Bathrooms need to have at least one window that can be opened to provide ventilation. Bathrooms are the most humid room in your home. Unless there’s enough ventilation in your bathroom, the moisture present in the air can cause problems for you and your family. Privacy is a major concern in any bathroom. If your windows are placed high enough, however, privacy will not be a problem. Conversely, if they are placed low, privacy will be a problem. You’ll need to use windows with privacy glass, which lowers visibility while allowing natural light to enter. Lastly, your bathroom, as with any part of your home, needs to have natural lighting and proper insulation to remain comfortable. As such, you will need to look for energy-efficient windows that will brighten your bathroom and keep it insulated, making it as comfortable as possible during inclement weather. With these things in mind, you should consider using awning windows for your bathroom. Awning windows are hinged at the top, which allows the pane to be tilted away, providing adequate ventilation and enough natural light without exposing you. Placed high in your bathroom walls, awning windows provide the best ventilation, lighting and privacy of any window type. If you need more lighting, consider using a combination awning window, where you place an inoperable shaped window above your awning window. If your bathroom is big enough, you can add another operable window adjacent to your window. This will provide better ventilation, which results in a fresher, easier-to-maintain bathroom. 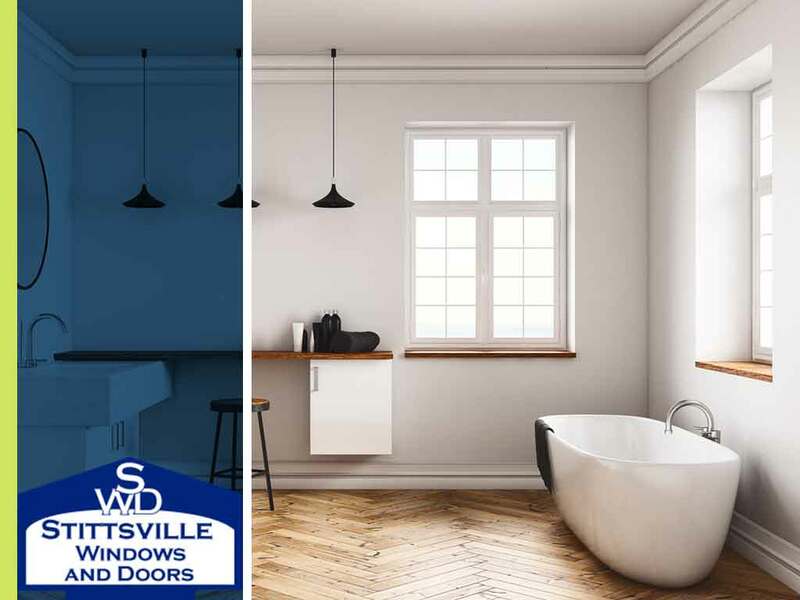 If you’re looking for windows for your bathroom, Stittsville Windows and Doors can help you. We’re a company that offers you quality vinyl replacement windows perfect for your bathroom. Call us at (613) 706-1922 to request a free quote. We serve homeowners in Stittsville, ON, and nearby areas.